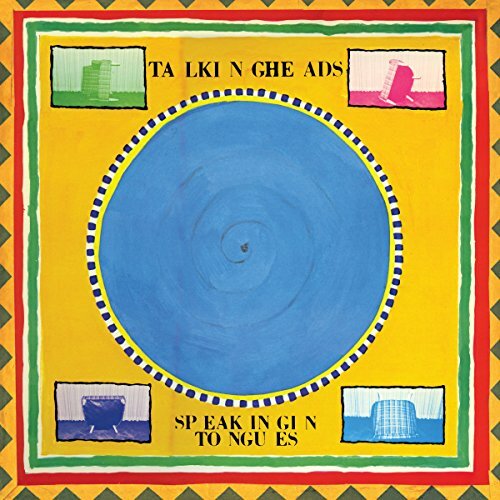 The Heads released Speaking in Tongues, the first album of new material in three years, in 1983. (A limited edition release of 50,000 copies featured a complex cover designed by artist Robert Rauschenberg. Subsequent copies boasted a simpler design by Byrne.) It was their highest-charting album ever (Number 15, 1983) and yielded their biggest hit single, "Burning Down the House" (Number Nine, 1983), which was also featured in an eye-catching video that MTV had in heavy rotation. They toured with an expanded band including Alex Weir, a guitarist with the Brothers Johnson. The tour was documented in the acclaimed movie "Stop Making Sense," directed by Jonathan Demme. The soundtrack (Number 41, 1984) spent nearly two years on the pop albums chart.